Melanie Holt and Tim Bostock bought the Kamuela Inn on Hawaii Island in Waimea in June 2015 and have completed extensive renovations in a rustic paniolo theme. Tim Bostock and Melanie Holt had owned a series of rental properties over the years but had never fully emerged themselves in the hospitality industry. Then, while exploring the northern upcountry area around Waimea on Hawaii Island, the husband-and-wife team discovered the Kamuela Inn. The 30-room property had been neglected for years, but Bostock and Holt saw an opportunity. By June 2015 they were owners of their first hotel. Now, three years into their first hospitality venture, they have completed extensive renovations on many of the rooms, freshened up the property and have plans for further improvements in the next 18 months.  The Kamuela Inn is located near the heart of Waimea, with easy access to popular cafes and restaurants. It is on Kawaihae Road, but set back from the roadside behind some commercial businesses and a private residence, providing a sound barrier from any traffic. The hotel was first established in 1961 by Muneo and Yukio Sameshima, and Yukio still lives on the property next door. “She’s a sweet old lady, and we check in on her here and there,” Holt said. The renovations were done in a “chic paniolo,” or Hawaiian cowboy, style, Holt said, a nod to the area’s history as a major cattle producer. There are rustic touches like exposed beams, sliding wooden bathroom doors and ceiling fans. The cozy rooms come with WiFi and cable TV, and a free continental breakfast featuring locally made pastries, fresh fruit, yogurt, cereals, tea, coffee and juice. The rooms also feature different art from Hawaiian artists and are stocked with botanical and fruit-based toiletries made locally. The inn offers a variety of accommodations (starting at $129 per night), including standard rooms, larger suites, and rooms with kitchenettes. The two executive suites are spacious, and boast full kitchens and dining areas. The largest is more than 800 square feet with bunk beds and a king-size bed in a separate room. The inn also offers washers and dryers for guest use. “We get a lot of bikers who like this area and stay here, and the laundry facilities are a big plus for them,” Holt said. The typical clientele includes local families, small convention groups, outdoors-oriented travelers, and a good flow of European, Australian and Canadian guests, according to Holt. Other renovations included new roofs, plumbing, electric and water heaters, and repair to long-term damage. Some rooms remain to be renovated, with all of the work scheduled to be completed by the end of 2019, Holt said. Additionally, Holt has a vision for turning a weathered and worn wooden tea house behind the main building restored so it can host local art exhibitions, which is how it was originally used by the Sameshima family. They also have plans to enlarge the breakfast dining area and configure it for more natural sunlight and to add a meeting space.